Forgive me, this post is so long overdue it's criminal. I actually wanted to sit down and write a really comprehensive post on the French pharmacy experience, specifically shopping for skincare. I filmed a haul a few months ago and I went through everything I picked up- it was pretty extensive so definitely make yourself comfortable if you take it upon yourself to watch it! I am a huge fan of French pharmacy skincare since I lived in France a few years back, and I spent quite a bit of time researching what products to buy and where to go in Paris to nab the best deals. I'm going to share what I learned then, and what I have learned from my own experience, so that if you are planning a trip to France in the near future, you can benefit from my experience. I've also been trialling out the bits that I picked up for the best part of three months now, so I am going to follow up this post with a range of skincare themed reviews and musings. The first thing I did was create a wishlist of all the things that I wanted to pick up when I was in France, and I think this is an absolute must because it is very easy to be completely overwhelmed by the sheer volume of products and information that will be thrown at you when you enter the French pharmacy. If you have an idea of what you are looking for, that's a pretty good starting point. There are hundreds of French pharmacy skincare haul videos on the interwebs, hundreds of posts, it's pretty easy to get a handle on the various brands and product offerings before you even book your flights. You do not need to be fluent in French to shop successfully in a French pharmacie but it would be worth your while on extrapolating some vocabulary relating to your own skin type and requirements so that you can better browse the narrow little aisles and understand what will work for you better. The vast majority of products will have English translations on the boxes so keep your eyes peeled for those. The next thing that should be on your agenda is figuring out which French pharmacy is for you and whether you are looking for the best bargains or the most hassle free shopping experience. I visited a few pharmacies in Paris but the ones that I recommend are, of course, CityPharma in Saint Germain des Pres or Pharmacie Monge at Place Monge. Both of these pharmacies, to the best of my knowledge, offer the cheapest and vastest selection of French pharmacy skincare products in Paris. My experience of both pharmacies was quite different. 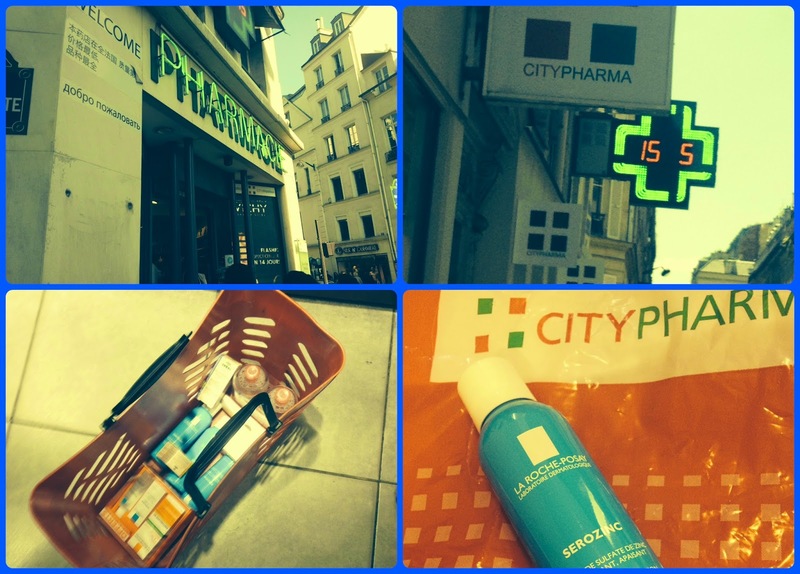 CityPharma is the pharmacy championed by none other than the lovely Lisa Eldridge in the 6th arrondissement of Paris. The Saint Germain des Pres area is one of my favourite areas in Paris, and luckily enough our hotel was within easy walking distance of this area. The area is served by two metro stops, Saint-Germain-des-Pres on line 4 and Mabillon on line 10. Both are equidistant from CityPharma which is located on the intersection of Rue Bonaparte and Rue du Four. There are entrances to CityPharma on both streets. If you get off the metro at Saint-Germain-des-Pres stop, you will need to cross a main road (there is a crossing at the exit when you get to street level, and then you continue on straight- there will be a Monoprix on your right hand side- keep walking along that street and CityPharma is located down at the end- it's approximately a 100 second stroll from the metro stop to the pharmacy!). CityPharma itself is quite unassuming from the outside given the hype it receives for being the best haunt for skincare shopping in Paris. CityPharma is definitely a stack 'em high and sell 'em cheap place, it is small, the aisles are incredibly narrow (not at all helped by the fact that they give you humongous red plastic baskets to store your selections in before paying). You honestly will have a breakdown if you are even remotely (a) claustrophobic or (b) sensitive to getting pushed and shoved and pardoned out of the way. I have never seen anything like it and despite what I heard about it, I really thought that it couldn't be that bad- you live and learn. The downstairs section has about four main aisles and you'll find most of the regular French pharmacie brands down there- Caudalie, Bioderma, Nuxe, La Roche Posay, Vichy, Avene etc. If you are looking for some Homeoplasmine or Biafine, you will have to ascend the stairs to the caisses ordannances (prescription section). Insider tip- it's worth hauling your giant red basket up the steps to the cash registers here because the queues downstairs can be crazy. Now I wanted to take photos of everything but for the most part, I could barely catch a breath. I visited the pharmacy a few times over the course of the few days- on a Thursday evening, a Friday morning, Friday evening and Saturday midday- and my experiences of each time were quite different. As a general rule- if you can at all, try to get there late into the evening for optimum personal shopping space. When I went first thing in the morning, the staff were restocking the shelves and the precious little space that patrons had the navigate the aisles was further halved. Midday was just crazy and you were not only fighting with all the other pharmacy tourists to get a look in, you had to compete with the grandes dames parisiennes. I cannot emphasise enough how crowded and hot and uncomfortable the pharmacy can get- it's no surprise that I had to go to the pharmacy a few times to get what I wanted because I could only handle so much pharmacy gluttony at any given time. The aisles in CityPharma are lined with sales assistants with perfectly coiffed hair and shiny white coats. They are there to help you (but really they are watching you like a hawk) and try to tempt you with whatever product they must be on commission to sell that day. I asked one of these ladies en francais if she could recommend a night cream for me and she just kept harping on about my rides (wrinkles). I'm 27, I avoid the sun like Elena Gilbert without a daylight ring, I don't think I am THAT wrinkly yet. Long story short, I wouldn't really be relying on the advice and opinions of the sales assistants in the pharmacy- I understand they have a job to do but I've never come across, not even in my time living in France, a profoundly knowledgeable French pharmacy sales assistant. I would say know what you want before you even go to Paris, and only engage with the sales assistants if you cannot find a certain product. Pharmacie Monge at Place Monge can be easily accessed by metro (line 7)- when you ascend the steps out of the Metro station, Pharmacie Monge is the building in front of you- look for the flashing green sign. This is located in the fifth arrondissement- the Latin quarter- and I first went to this pharmacy back in 2012 when I was visiting a friend who was studying in Paris and living in the lively Latin quarter. For all the hype that CityPharma gets, I think Pharmacie Monge is just as good. The prices are pretty much the same, and they offer pretty much the same products as CityPharma- both pharmacies have different products at cheaper prices but no significant differences). The aisles are slightly wider, and it has a very weird layout with nooks and crannies and steps and bends and winding aisles- but it is well stocked and everything is clearly priced. Pharmacie Monge had some sampler sets that were not available in CityPharma, but all the brands were the same. 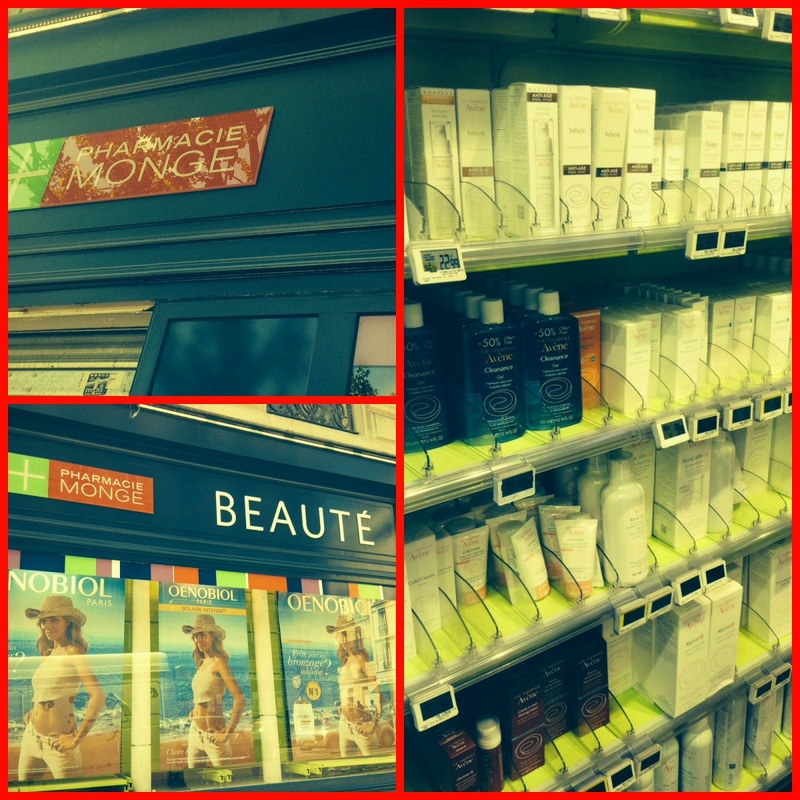 Pharmacie Monge also carried some Clarins products and some fragrances. I went to Pharmacie Monge twice over the course of my last visit to Paris (I make it sound like I go to Paris all the time but really I only go once a year, twice max)- once on a Friday morning and once on the Saturday morning. The Friday morning was eerily quiet and I happily browsed the aisles to my hearts contentment testing out all the lotions and potions and enjoying the fact that I was in a French pharmacie with my personal bodily integrity in tact. I wondered why there were so many Asian signs and displays- there was information about all the products in little Asian booklets dotted about the place, and a checkout area specifically designated for shoppers who sought tax documentation- but no Asians. On the Saturday morning, Pharmacie Monge was absolutely jam packed with Asian tourists fighting over Bioderma and Lierac and all the other French skincare goodies. It got pretty intense! I found the staff here were friendlier and I love that they gave me little samples with purchase at the checkout. Be wary of rip-off merchants! I have been in other pharmacies in Paris also- particularly in search of Avibon which I was not able to find anywhere- and whilst they were smaller and quieter, their pricing was nowhere near as competitive as either CityPharma or Pharmacie Monge. When I first arrived in Paris, I went into the pharmacy across the road and picked up a bottle of Serozinc for €9 because I was dying to try it asap- it's practically half the price in CityPharma at €4.90 and Pharmacie Monge at €5.40. There are a couple of pharmacies around the Champs-Elysées and other tourist areas that will absolutely fleece you- i.e. one 500ml bottle of Bioderma Crealine H2O for €18 when you can pick up a twin pack elsewhere for €15! I picked up some of the following products when I was in Paris- I didn't get much in the line of Avene, La Roche Posay or Vichy because they are all easily available here in Ireland anyway. Top of my wishlist were Bioderma Crealine H2O (because I adore it) and La Roche Posay Serozinc (because I had heard much about it and PR for La Roche Posay confirmed that they will not be stocking this in Irish/UK distributors and it's pretty expensive to buy it online). I couldn't find any details on prices before I went so I just had a look through some of my receipts and I've pulled out the prices of some of the items I picked up. This might be helpful if you are planning your Parisian skincare budget! I won't list or picture everything I bought in Paris but I will refer you to my mammoth haul vid which I uploaded a few days after returning home. I really hope this post was helpful and address any of the questions you might have had about the French pharmacie experience in Paris. If you have any specific questions on relation to French pharmacy shopping or recommendations, get in touch, either via the comments below, on Twitter, via Facebook etc. 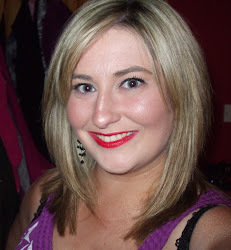 As I mentioned at the start of this post, I will be following up with a series of reviews on the products that I picked up- most of which I have been using for almost three months now so I will have mustered up some pretty informed opinions! There have been some holy grail finds, some disappointments and even a severe allergic reaction. All to come! 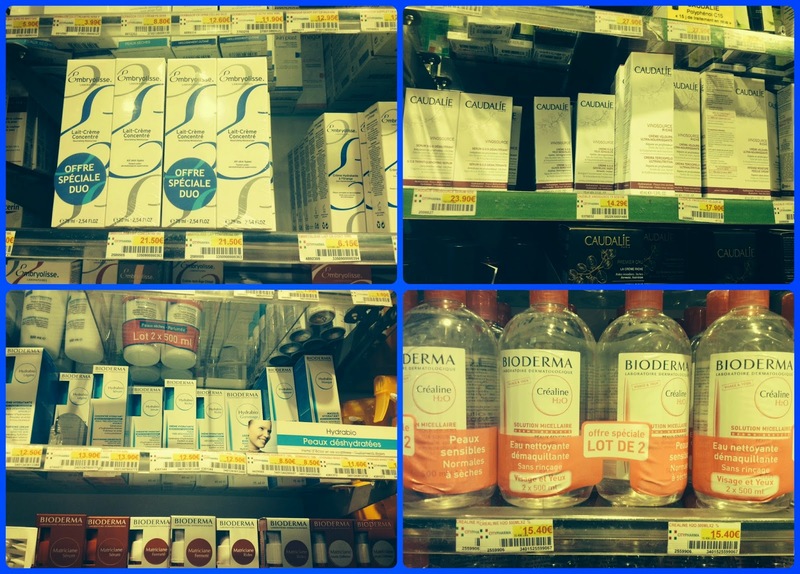 Have you experienced the joys of French pharmacy skincare shopping yet? Would you like to be let loose in a French pharmacie? wow, epic post! i was in paris last month but unfortunately i didn't get a chance to shop that much. the only place we went to was the marne-la-vallee shopping centre. i would definitely love to go back and experience the french pharmacy, i'd feel more confident now after reading this! Great post! I dream to visit France one day. This like, despite fluctuations, will be helpful. I'd imagine it would be incredibly hard to know what to purchase or even look for in a foreign place with so many item. Wow such a brilliant post Aisling! I used to live in France but didn't appreciate the beautyness of it enough! I am very happy with the reviews you have posted for us. I know it takes alot of time and efforts. Thanks you so much for the post mate. In a few states, experts are permitted to give data on finished the-counter (OTC) medicine (ie, meds that don't require a solution,Alcohol treatment centers for example, acetaminophen and ibuprofen). Pharmacy expert errands incorporate, yet are not restricted to. Body structure is the last segment to health related fitness.crazy bulk winsol This is the sum fat cells contrasted and slender cells in the body. With regards to snatching a sizeable offer of the US pharmacy showcase,Viagra Canada the Canadian rebate drug stores have just accomplished the objective and are presently going further. While this procedure may appear to be long, it satisfies with a standout amongst the most remunerating professions in pharmacy. I know this type of pharmacy best since this is where most of my work has been this site is very good and your blog is nice for fitness and health. Great post and its a very helpful post nice bolg about the French Pharmacy Skincare Shopping and other Crazy Bulk Cutting stack result. this is very interesting. i like this go to this site.